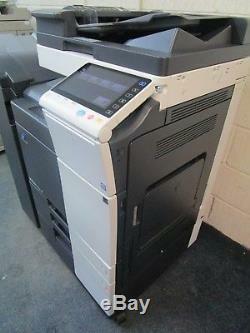 Konica Minolta Bizhub C224e Colour Photocopier & Staple Finisher. 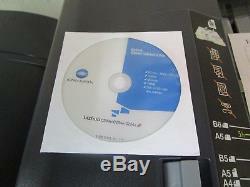 Excellent copy & print quality, all tested & working well. 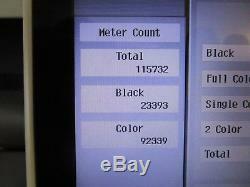 Low meter reading of only 92k colour & 23k mono total copies. 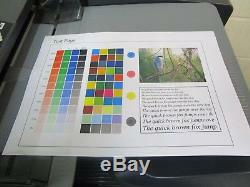 A4 & A3 copying, 22 page per minute copying speed in colour & mono. Document Feeder, Duplex, 2 Paper Trays & Storage Cabinet. Network Printing & Scanning enabling connection to a single or multiple computers. 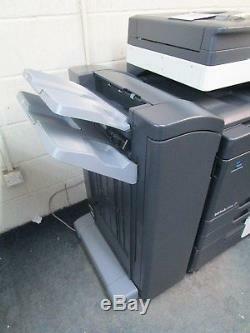 Fitted with the Staple Finisher, ideal for making Newsletters, Leaflets, Flyers etc. Sale price includes VAT & we supply a full VAT invoice. The item "Konica Minolta Bizhub C224e Colour Photocopier & Staple Finisher" is in sale since Wednesday, January 24, 2018. 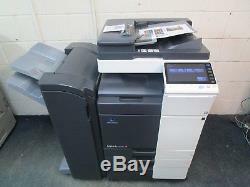 This item is in the category "Business, Office & Industrial\Office Equipment & Supplies\Copiers & Copier Supplies\Copiers". 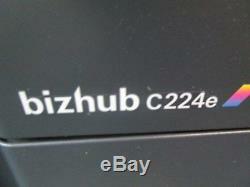 The seller is "copy-direct" and is located in Long Hanborough, Oxfordshire. This item can be shipped to United Kingdom.